Due to the lyrics I do not think that the song is suitable for teenagers. I would recommend it to the adult students only. A song with lyrics more suitable for adults. 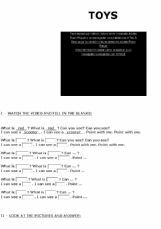 Different activities to do with the song of the TV show "FRIENDS"
Some activities on the song Walking on sunshine by Aly & A.J: fill the gaps, guess words, about the song, about the singers, . 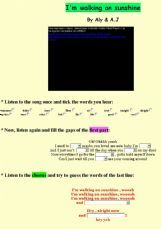 . . It�s very easy and I hope you enjoy it. IT`s a beautiful song ,easy to learn and sing!!! Beautiful song to work on the topic of envy! Hope you like it!